Based in the airport in Port-au-Prince, Gaillis is doing outreach to survivors. Over a 1,000 families have benefitted from relief efforts such as mobile kitchens and hygiene products. Residents are given tickets so they can be called by number to receive aid. Progress is slow, given the numerous logistical challenges. Thousands of families are living in makeshift housing in hot, muggy conditions. Gaillis indicated that this has been the hardest assignment she’s had. The scope of loss and devastation is unfathomable. It’s a very emotional experience. Gaillis was deployed on January 13 and will continue to serve Haiti in its time of need. 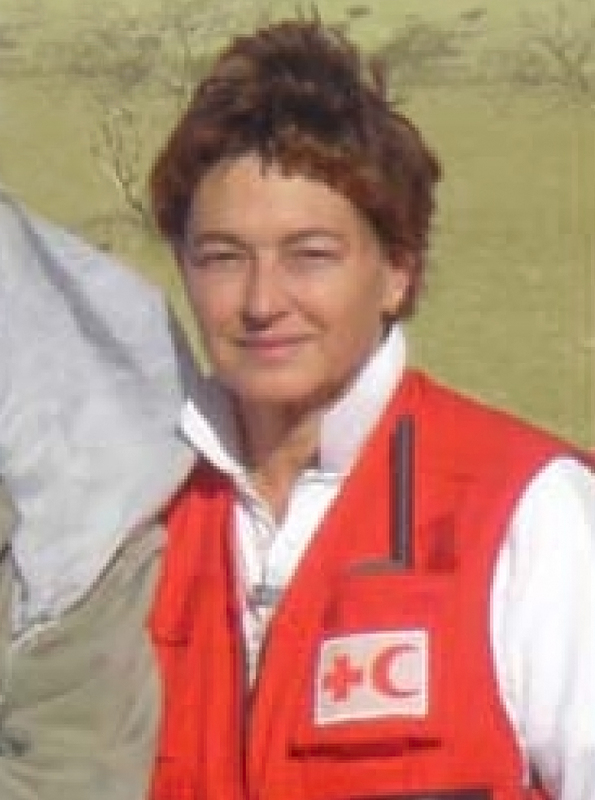 We will check in with her periodically to better understand how Red Cross is fulfilling its humanitarian mission. This entry was posted in General Information, International, Photos, Uncategorized, Volunteers. Bookmark the permalink.